Fast talking, High Flying getting Fat Dave is now becoming Desperate Dave, with an offer to all Air Pacific/Fiji Airways staff and their Buddies, for 50% discount travel between Fiji and Auckland return, also vise versa. Those cardboard carton meals are definitely doing nothing for business. Not yet desperate enough to offer the Fiji Pensioners and FNPF members (who really own the biggest chunk of the tattered airline by virtue of the F$400,000,000 cash injection, that will never be repaid ) year round fare reductions. The question really is “ How long can FTHF getting Fat Dave keep grabbing at straws before our government realises that they got a Boy to do a Mans job” ? That Air Pacific is to become Fiji Airways begs one heck of a lot of questions, because a company name change, expensive though it is, sends smoke signals for sure. If we follow that smoke to the offices of HFFT Dave and his minister buddy we shall find the fire. What fuelled it? Well, fuel costs for one. An aging fleet, for sure. The decision to dump Boeing and jump into bed with Airbus. 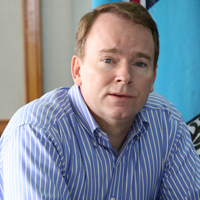 So let’s speculate…might not these (and more) have initiated a very clever and nasty plan at the highest levels of the aviation industry and the Fiji National Provident Fund – a plan that would begin with the decision to disenfranchise the FNPFs older pensioners – disguised as FNPF ‘reform’. Certainly a reform that was necessary but which perhaps had nothing to do with maintaining FNPF solvency in the long run and everything to do with raising money which the govt does not have? Was this, at the highest levels, agreed that the FNPF would fund the new Airbuses? And to do that would the fund cheat its members and cut older pensions, whilst cleverly arranging a ‘top-up’ for the grass-roots pensioners to get them on side? Was it a deliberate decision to quietly, without going public, declare Air Pacific bankrupt, write-off its debts, resuscitate Fiji Airways and – you’ve got it – new airline, no debts? This writer, having partaken of one quarter of the contents of those ‘Cattle Class’ meal boxes has a question for HFFT Dave and minister ASK. But first please bear with me while I describe the contents of those boxes – it might change your decision to fly Air Pacific/Fiji Airways. One small, hard, cold, presumably chocolate muffin – it looked so sorry for itself that I didn’t have the heart to eat it. One (at a guess 100ml) tub of guava juice. One (ditto amount) Yoplait Banana yoghurt. One heaped dessert spoon of minutely chopped pawpaw and pineapple – I think – I can’t be certain. The yoghurt was delicious, but many people hate the stuff. Juice was okay. But now I’m wondering how many of those cartons printed ‘Air Pacific’ were purchased since we all know that the more of that type of item you buy the cheaper it is. Oh – but what the heck – they’d be part of the write-off if there is one, wouldn’t they? Fast Talking High Flying Dave has got the support of the Air Pacific Board and the Fiji Government to agree to renaming the airline what it was named 42 years ago Fiji Airways.